Today I was working on a 1-up half page flyer of which I need to print multiple copies. Normally, I would go into InDesign and manually impose the document 2-up and then export a new PDF. But I wanted to see if I could get an acceptable result right within Acrobat. 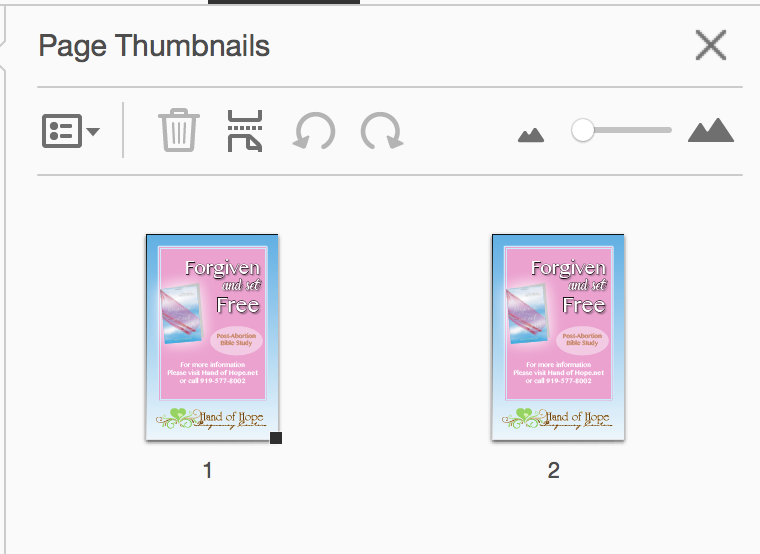 The following screenshots are of the Thumbnails panel, but you can achieve the same thing using the Organize Pages tool. Much like in the other Adobe programs, if you hold down and Option and drag, you will duplicate the object. In this case, I held down Option while dragging the thumbnail. Now I've duplicated page 1. Read more about that technique here. 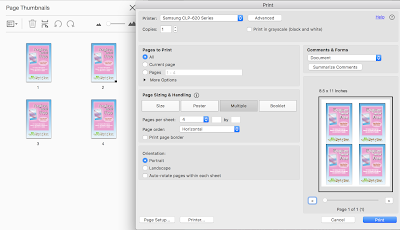 Next, go to the Print dialog box and choose the "Multiple" tab. This will only work if you have more than one page. 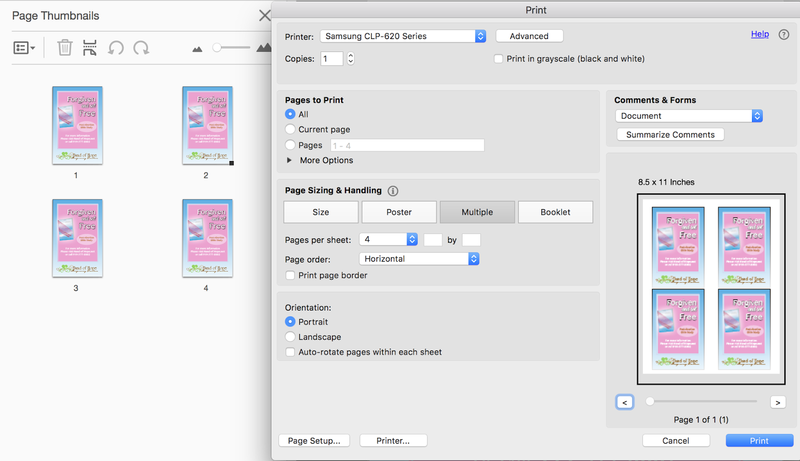 That's why I had to duplicate page 1, so that Acrobat would actually have multiple pages to put together on the same page. You can also make a four up imposition using the same method. Duplicate pages 1 and 2 again, to get four of the same pages. Then choose 4 up per page. 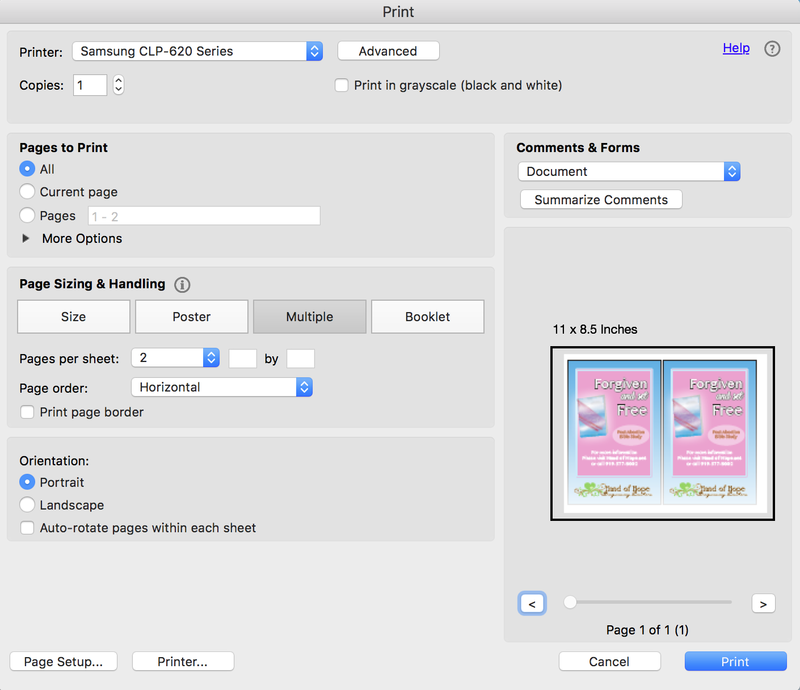 Print Dialog Box: Print four up! Now, remember that the borders won't be exact all the way around, so this imposition method won't be suitable for all applications. 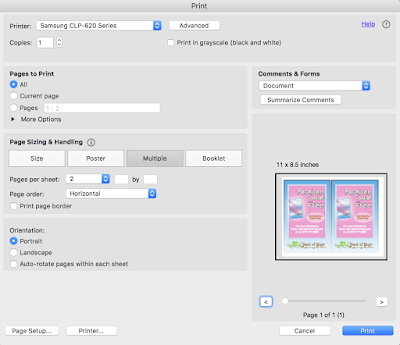 But if you just need to take a flyer and quickly print out multiple on a page, this can be a great tool. Also note that this trick won't work in Adobe Reader, because it requires page editing. 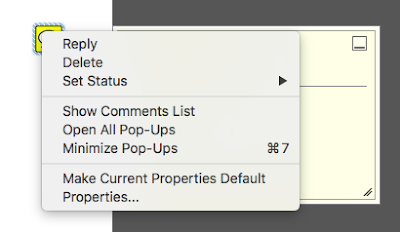 In years gone, Acrobat had a much better way of dealing with the comment checkbox. 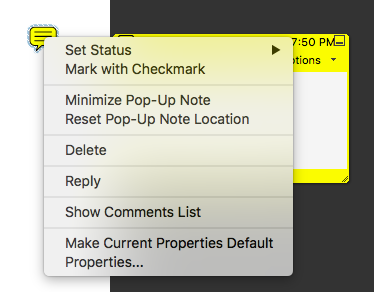 There used to be a "Mark with CheckMark" option in the right-click contextual menu. 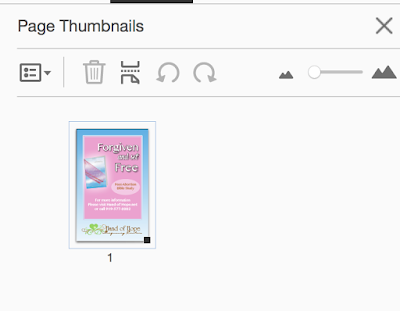 But stating with Acrobat X, this was removed (not developed). 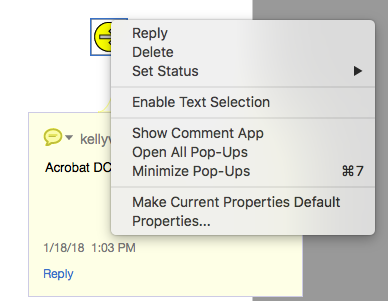 Instead, Acrobat has moved the only option for commenting over to the comments pane. So in order to mark a comment as checked, you always have to have the comments pane open. 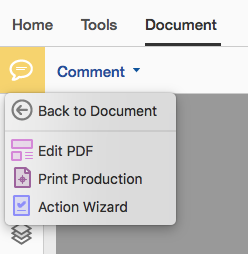 But if you need to use other tools in Acrobat during the course if commenting, you'll have to keep switching back and forth to get to the Comments PAIN. To make matters worse, the checkbox is only visible if you have the comment selected. So if I need to check off a bunch of comments at once, I have to select a comment, then check it off, then select the next comment, then check it off. The checkmark is only visible if you click on the comment. 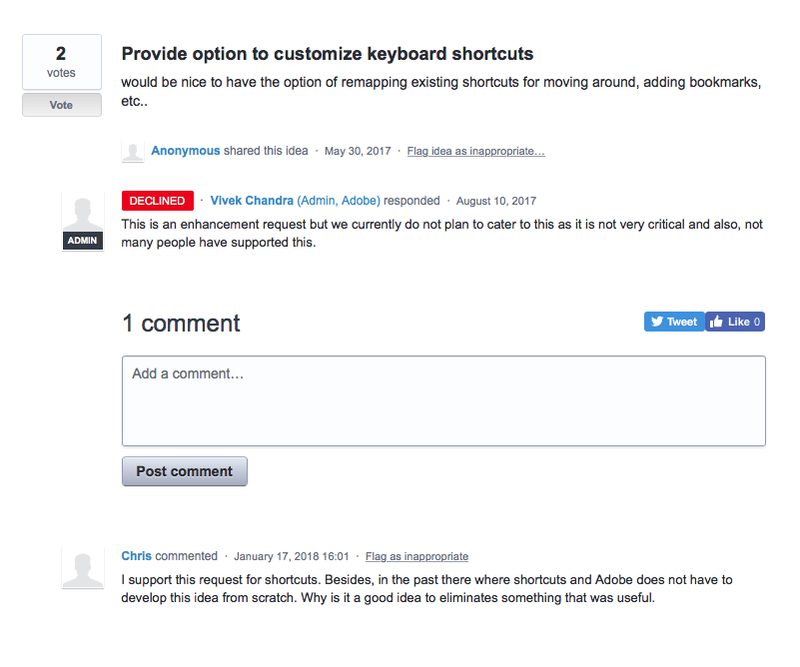 But the contrast is so low between the selected comment and the unselected comments that it's often hard to find the right one in the comments pane. Plus, the colors in the comments pane have absolutely nothing to do with the colors of the comments themselves. 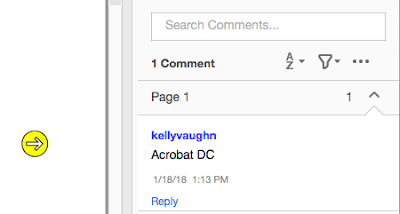 InAcrobat DC, each author gets a different comment color. The comments pane totally disregards the color of the comment itself. 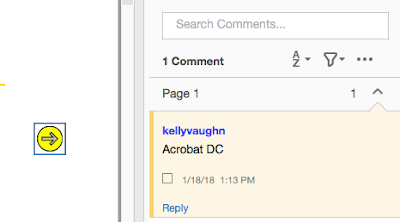 Compare that with how easy it is to locate a comment in the comments pane of Acrobat 9. The selected comment has a thick black border around it. 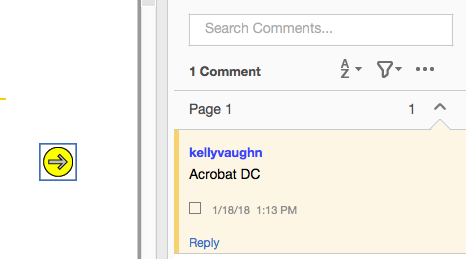 Anyhow, now that I've vented a bit I'll get back to my solution for an easier method of making a checkmark in Acrobat DC. I purchased a script from Try 67: Mark Selected Comments as Checked. I dropped the script into the appropriate folder and now it appears in my menu bar. Sweet! I'd actually be able to activate the menu item from there if I was on a PC, but I'm on a mac, so I had to keep searching for an alternative way to activate the script. 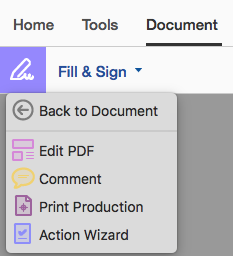 This feature would be more useful if Acrobat allowed us to customize keyboard shortcuts, which it does not (and apparently, the Acrobat team has no intention of ever adding that feature because they deemed it as "Not very critical". Did you know that all the functions of the various tools can be added to your toolbar at the top? 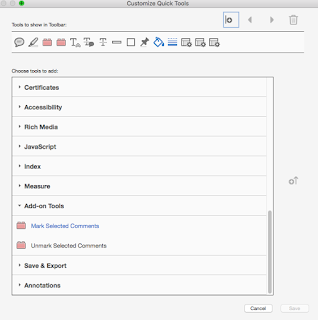 Right-click on the tool bar and choose "Customize Quick Tools. Then you can dig through this dialog box and add them. Be patient, as this dialog box doesn't have the nice filtering functionality that the main Tools Tab does (you know, the one displaying the entire list of tools and which has the Microsoft-esque clip art that we all complain about?) This Customize Quick Tools dialog box could really use a lot of help, bu if you can overlook it's user-exerpeience, it actually does a nice job of adding tools to your toolbar. So now I have my "Mark as Checked" button to my toolbar and it is awesome! I can mark a comment as checked whenever I want, without having to dig around for it in the comments pane. If you would like to purchase this script, visit the Try67 website. 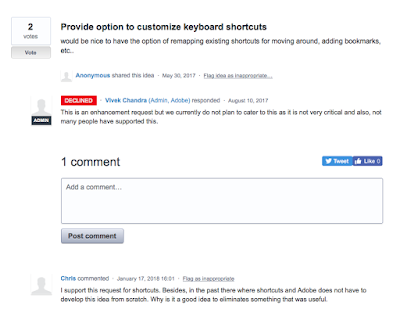 Adobe recently added a keyboard shortcut for "Mark Selected Comment as Checked". It is Shift + K. Now if only they would put that information in a tooltip somewhere, instead of just letting us know through a forum reply! If you need an easier way to create mark objects as checked, check out my article on Bluebeam Revu. It's an amazing program designed specifically to meet the needs of users in Architecture, Engineering, and Construction. 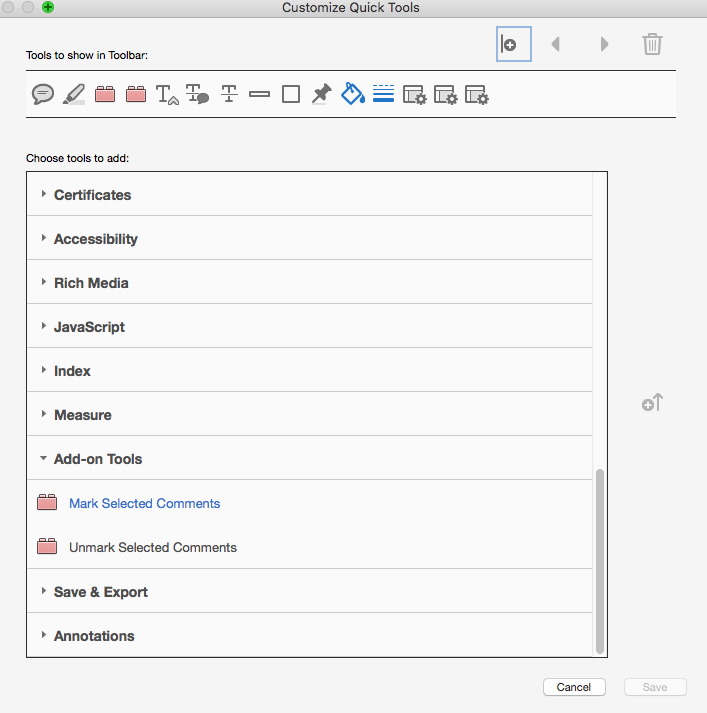 The checkmark option appears in both the Markup panel as well as in the contextual menu. I recently switched to Dropbox for my backup storage. It was a big decision, since I have fifteen years worth of files. Literally over a million of them! 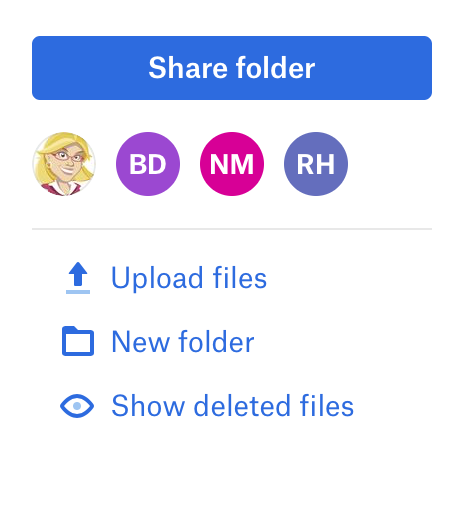 I followed an article that showed the steps for How to Sync Any Folders Outside /Dropbox. Awhile back, Dropbox added the features to upload files to a specific folder. So I decided to use that feature to upload the draft I needed to send to my client. 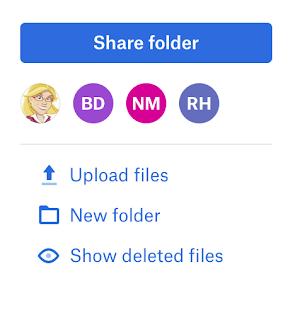 If you hover over any file in Dropbox, a "Share" button will display. Click on"Share" and you'll get a dialog box where you can enter the email addresses of who you'd like to share the file with. Type in their emails, and click "Share." Presto! You have successfully bypassed the synchronization order set by Dropbox. If you're like me, you get frustrated by the slow-moving Acrobat DC tools pane. 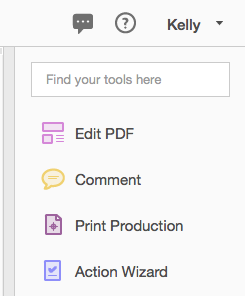 Since they redesigned the user interface for Acrobat DC, I can now customize the tools pane on the right. Below are my most commonly used tools. If I need a tool that's not listed in the Tools pane, I can simply search for it. That's handy! The right-hand pane is contextual, and will display options for whatever tool you have selected. But what if I want to quickly go back to my comments list? If seems that I would have first have to click the big X in the top right hand corner so that I can display my list of tools again. But there is another way that will save you a click! 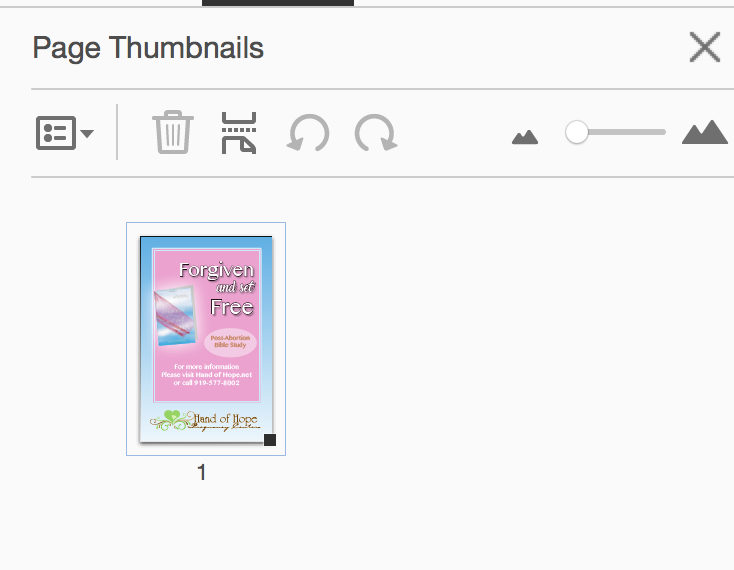 When you have a tool selected, the top left corner of Acrobat will display the Tool Icon and tool name. Click on that tool icon or name in the top left will display all the rest of your favorite tools. If the tool you're currently using is in your favorites, it will display the rest. If the tool you're using is not in your favorite, it will display ALL your favorites. So there you go. 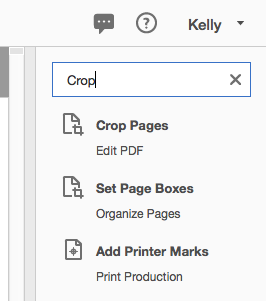 Save yourself a click and start using the list of favorites in the top left corner of Acrobat. If you need a snappier program that gives you quicker access to your tools, check out my article on Bluebeam Revu. It's an amazing program designed specifically to meet the needs of users in Architecture, Engineering, and Construction. The whole program is module based and has no lag time.